Best air purifiers, humidifiers, and dehumidifiers reviews, comparisons! Bad ventilation. Are all fuel-burning devices (gas stoves, water heaters, fireplaces) fully vented to the outdoors? Proper ventilation keeps the air fresh and healthy indoors. Mold Spores. Is the humidity usually above 50 percent? Check if there are leaks or standing water anywhere at home- kitchen, basement, attic. High humidity allows mold to grow. The best way to control them is to keep moisture between 30-50%. Tobacco smoke. Is anybody smoking indoors? No one should smoke indoors. Building materials such as asbestos, formaldehyde, and lead. Household products and pesticides such as perfumes, cleaning products, air fresheners. Gasses such as radon and carbon monoxide. You should test your home for radon. It is very dangerous substance and doesn't cause noticeably visible signs. Not sure if your indoor air is healthy or not? Use laser particle counter. It will help you monitor air quality in your home. The counter's readings give you an overall idea of the entire amount of particles. If you want to know exactly what types of allergens are crawling in your air, you can use an allergen test kit. Indoor air pollutants can cause asthma attacks, as well as itchy eyes, sneezing, and runny nose. Radon and tobacco smoke can cause even more dangerous health effects, including lung cancer, according to the American Lung Association. How Our Website Can Help? All of the knowledge on this site is given as a free service to help you recognize the real causes of poor indoor air, the consequences it has on people and how it can be fixed. We share with you everything we know about air purifiers, humidifiers, and dehumidifiers. We have covered topics such as how they work, what you should look for to find one that fits your needs etc. Also, we tried to make everything simple. No complicated talks. All topics around indoor air here are answered in an easy and understandable format. If we use any definition we also try to rewrite it in easy to understand format. Also, our website structure is made as easy as possible to navigate. Keep reading below or navigate through the top menu to find topics you are interested in. Feel free to use our Search tool too. 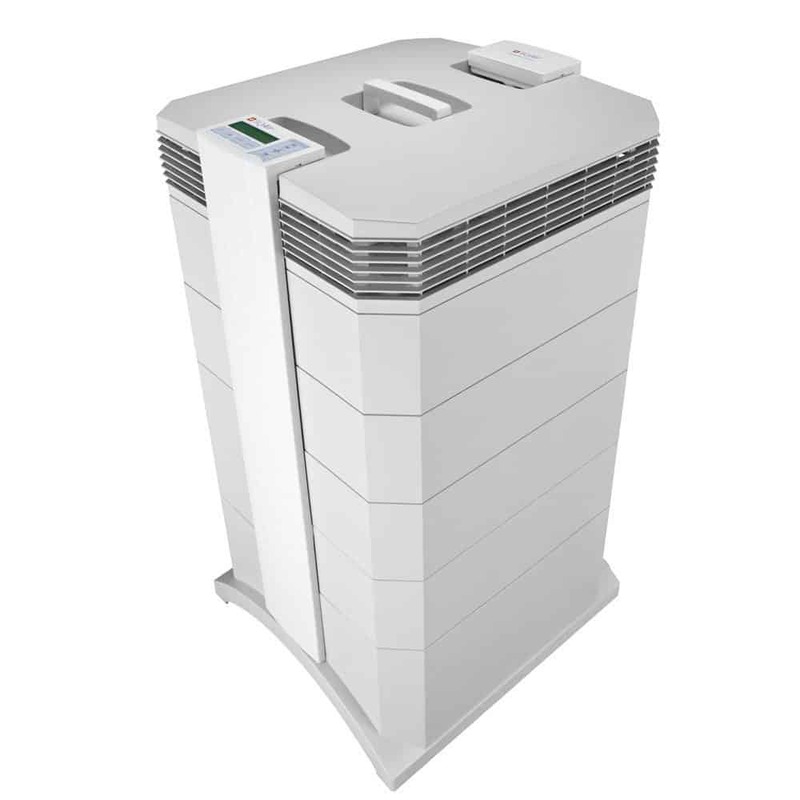 In this section, you will find out best air purifiers, humidifiers, and dehumidifiers comparisons including very helpful information such as prices, coverage area, features, noise levels, pros, cons etc. Air purifiers have comparisons by concern, by type, by price and coverage area. Humidifier comparisons by mist type, by prices and coverage areas. Dehumidifier comparison charts with their prices and pints. If in comparison charts you can find only general information, in reviews you will find more in-depth reviews about air purifiers, humidifiers, and dehumidifiers. We choose the best and in easy wah show you how the units work, how noisy they are, what's their pros and cons, maintenance required etc. If you are seeking to get information on a high-quality unit, this section can really help. This is the most educational section of our website. Actually, these are topics you should start with before buying anything. These topics cover the most valuable information. In the knowledge base, you will find all kind of topics, for example, about indoor plants, allergens, and pollutants, air quality testing, humidifiers, dehumidifiers, air purifiers, allergy bedding, air quality facts and more. 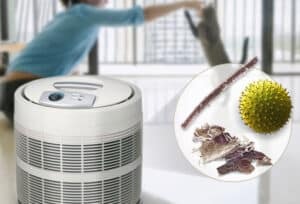 The good news is that you can make your indoor air healthier by filtering out allergens, odors, and other pollutants from your space using an air purifier. An air purifier is a device which removes contaminants from the air in a room. These devices are commonly marketed as being beneficial to allergy sufferers and asthmatics, and at reducing or eliminating second-hand tobacco smoke. Air purifiers may be either small stand-alone units or larger units that can be affixed to an air handler unit (AHU) or to an HVAC unit found in the medical, industrial, and commercial industries. Also, The EPA recommends using an air purifier. What should you know before you buy the best air purifier that fits you? All these questions are covered in our huge Air Purifiers Buying guide! Without any introduction below are the top picks from each category I selected on when I finished the reviews I have put together. The Haverhill HAP52010E is a really great purchase. It costs around $200, it covers spaces up to 538 square feet. And it has a lot of features such as 6 fan speeds, air quality indicator, automatic mode, night mode, filter check indicator, carrying handle, and even smoke and odor removal modes. Ideal for allergy and asthma sufferers and those with light chemical sensitivities. Another great choice is Whirlpool 510 (AP51030K) Whispure. 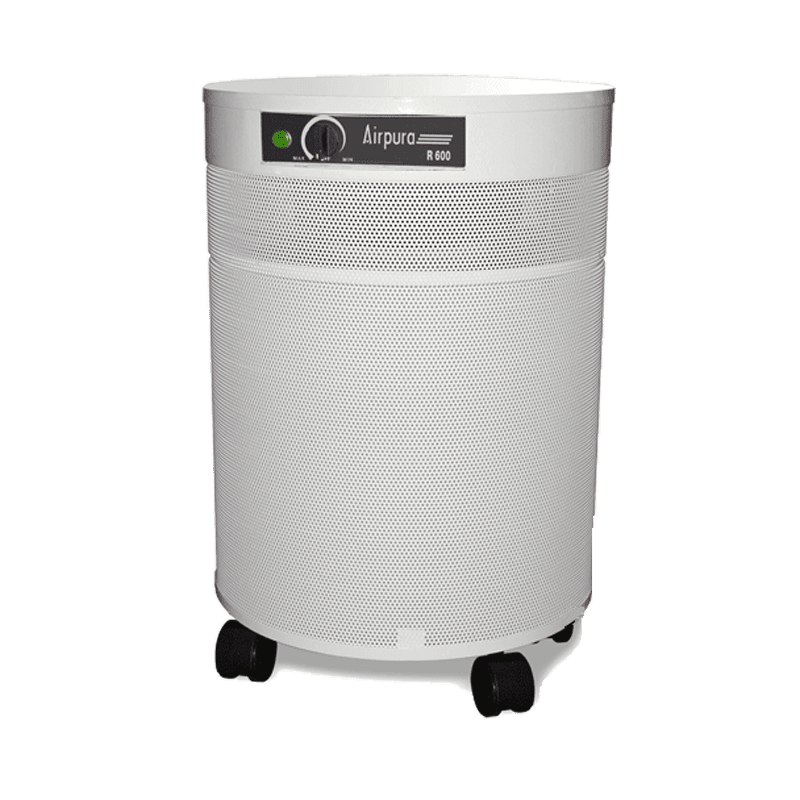 Airpura R600 air purifier is very powerful, has 560CFM air delivery, carbon filter w/18lbs activated carbon, variable fan speeds, and long warranty. This air cleaner is the excellent air-purifying solution for those who suffers from asthma. Made by Canada-based Airpura Industries. 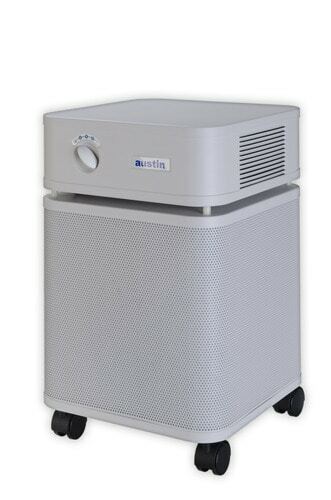 Austin air allergy machine is very well made, built of quality material. It is powerful. It has great purification, 360° air intake, casters for easy move, color choice, very little maintenance, long filters life. Removes dust, pollen, tobacco smoke, chemical vapors, gasses, viruses, bacteria, and more. Austin Air Healthmate Plus is very powerful, moves 400CFM air. Covers large area - around 1500 square feet. It has 15 lbs. of activated carbon. Purifies almost everything, 5 years warranty. The HealthMate Plus absorbs and carries formaldehyde odors along with symptom-triggering allergens and other airborne odors. 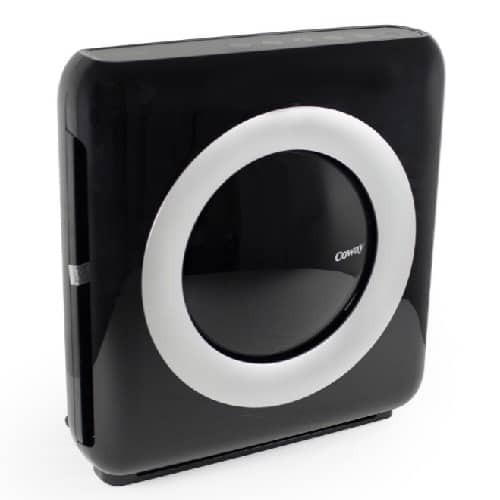 The Germ Guardian AC4825 3 in 1 True HEPA air purifier with UV Sanitizer and odor reduction is not only the number one best seller but also quietest bedroom air purifier. This air purifier is one of the best in the price range under $100. The Germ Guardian AC4825 Air Cleaner is ideal for small to medium spaces and has a recommended room size of 155 square feet (14m2). 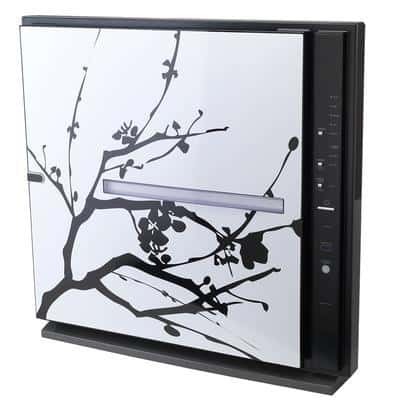 Coway AP-1512 Air Purifier is stylish with a unique design. This compact air purifier packs high-quality filtration, great features - air quality sensor, filter replace indicator, auto mode, timer, and enough to purify large spaces up to 326 square feet. On lowest setting uses only 7W power. The Winix WAC5300 is a great air cleaner for rooms up to 350 square feet (32.5m2) and costs between $150 and $200. Best price for such size space. The Winix WAC5300 contains a 99.97% efficient True-HEPA Filter, Odor Control Carbon Pre-Filters, and PlasmaWave Technology. Rabbit Air Minus A2 SPA780A is powerful, really impressive purification, great quality. Many features - odor sensor, air quality indicator, auto mode, remote control, light sensing, mood light etc. Can be mounted on the wall, customizable designer panels, 5 fan speeds. Energy star qualified. This air purifier includes everything you need. 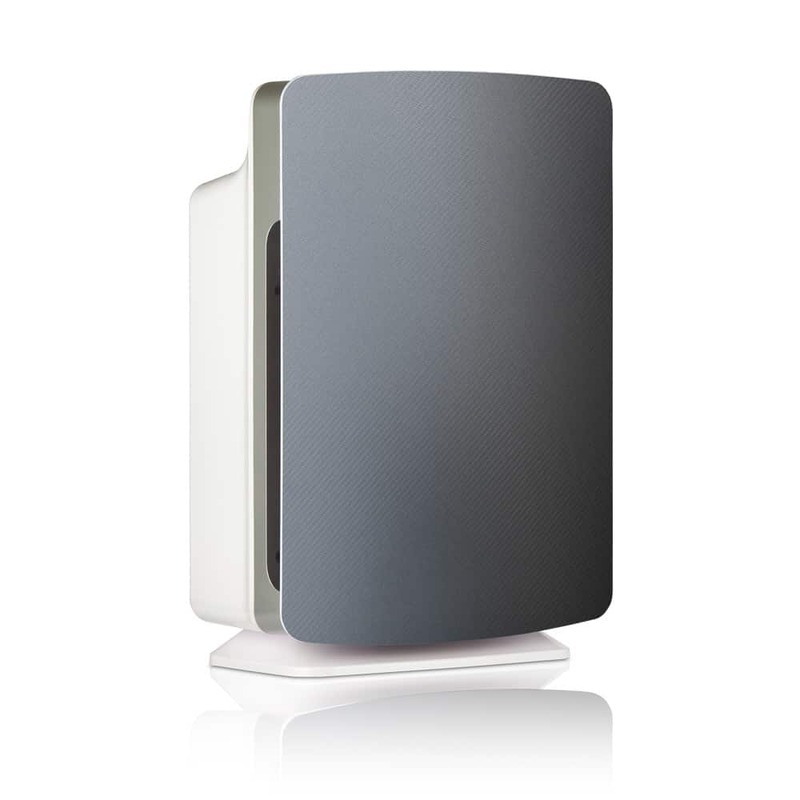 Alen calls this product as one of best air purifier on the market for today. And there is a reason. The air purifier has customizable HEPA filters, automatic smart sensors, quiet operation and best-in-class warranty and performance. Best for large and open spaces up to 1100 sq ft. And Alen BreatheSmart is extremely quiet. IQAir HealthPro Plus air purifier is called the world's most advanced air purifier. It has many #1 product reviews. It works excellent, it captures airborne pollutants as small as 0.003 microns. It has one of the best air filtration systems on the market. Surprisingly great air cleaner for big size space up 1125 square feet. It has a lot of features that you will enjoy. The only reason that can stop you is a price. But I would say it is worth that. The Holmes HEPA-type desktop air purifier is one of the cheapest air purifiers in the market that also works well. Ideal for small rooms up to 109 square feet (10m2). Overall good for general air quality, nothing superfluous. Just keep in mind that it removes 99% airborne particles as small as 2 microns. True HEPA filters remove as small as 0.3 microns. 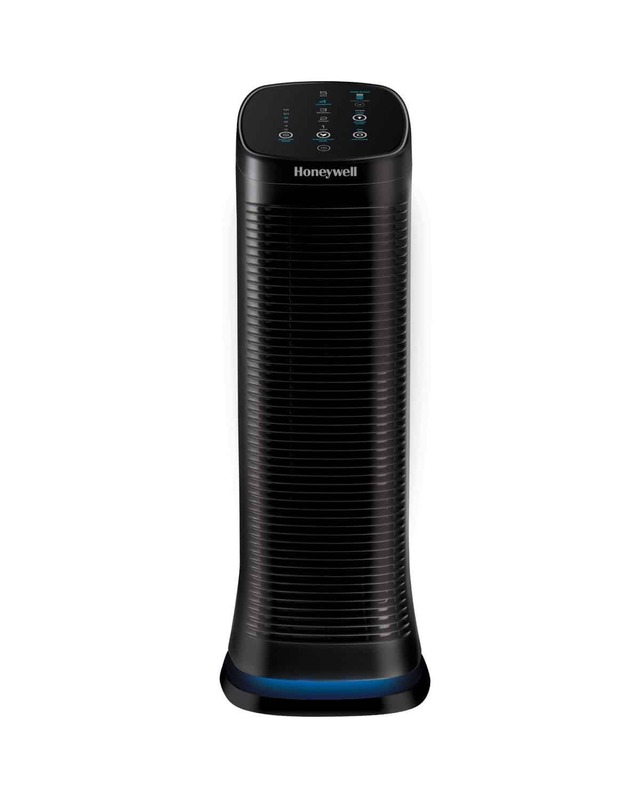 Another cheap, small and easy to maintain air purifier is Honeywell HEPA-Clean HHT-011. Honeywell HFD 320 has a little bit lower performance than air purifiers with the true-HEPA filters. This unit has 5 cleaning levels which allow you to set really quiet operation, accent light button, oscillate button and auto-off timer button. 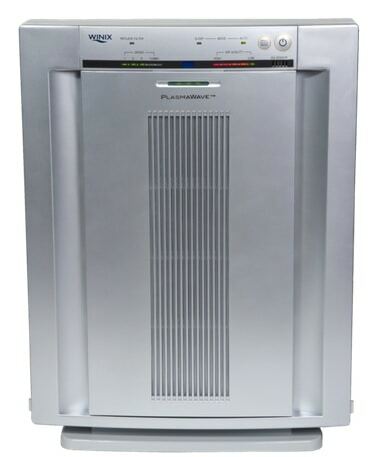 Another great tower air purifier is one of the best sellers Germ Guardian AC5000 3 in 1 True HEPA air purifier. Recommended indoor humidity level is between 30 and 50 percent. It is important to keep balanced indoor humidity through the whole year so you could feel comfortable and healthy. Humidity that is higher than 50 percent encourages the growth of bacteria, dust mites, mold, and other symptom-aggravating allergens. This kind of wet and muggy conditions may develop an unpleasant, musty odor and cause wood to rot, walls to stain, and paint to peel. On the other side, environments with humidity measuring under 30 percent will leave you susceptible to dry air's adverse health effects (bloody nose, cracked lips, dry, scaly skin, dry sinus passages etc.) and your interior furnishings vulnerable to damage. How to measure humidity level? It is a simple and quick process. You just need an inexpensive digital hygrometer (for example Stadler Form Selina. Click here to see). These devices display accurate readouts of the humidity level and temperature. They can usually be wall-mounted for regular use and may include extra features such as Celsius/Fahrenheit conversion, large internal memories, optimal humidity level warnings, and backlights for simple reading. If the humidity level is below 30 to 50 percent you should use a humidifier to increase humidity till this level. Humidifiers are also used to help control respiratory illnesses caused by asthma flare-ups, allergies, colds, sinus infections, congestion problems, and other illnesses. The mist coming from a humidifier eases your breathing passages. Choosing the best humidifier may be very hard to do so I am here to help. First, read my full in-depth humidifier buying guide. After that, you will be much more educated. Second, check my comparison tables. I have made best cool mist, warm mist, travel, room, whole house humidifiers comparisons, and comparisons by price and coverage are. Comparison tables include lots of information - features, prices, noise level, pros, cons and much more. Click here to read them. Choose the right size and capacity. Figure out where you need a humidifier - in the bedroom, living room, or for the whole house. Also, tank size and moisture output capacity are very important. You don't want powerful humidifier which needs to remove water every 3 hours. Determine the right type. Cool mist, warm mist or maybe dual mist humidifier. Comfort features. (Variable speeds, humidistat, automatic shutoff, indicator lights etc). The best way to reduce a humidity level is using a dehumidifier. These appliances remove moisture and help keep desired humidity level. Dehumidifiers are quite expensive so it is particularly important to choose the right one. Before we continue, read my dehumidifier buying guide here. This guide will answer most of your questions. As you may know, dehumidifiers are usually compared by pints so I made comparison tables starting from 0-10 to 75+ pints. My dehumidifier comparison charts include prices, features, noise level, sizes, pros, cons and more. Click here to read them. Choose the place where you are going to use it. Basement, bathroom, whole house etc. Choose the right size. Depends on how wet and big is space. To help simplify your selection in size, take a look at the sizing chart. Draining. There are 3 main methods of draining a dehumidifier and most models can be configured for at minimum 2 of these methods. Think about features you may need. Timer, humidistat, various speeds etc. Fan operation - continuously or when dehumidifying.